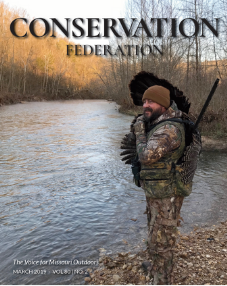 CFM’s 4th Annual Pull for Conservation: Northwest is being held at Boot Hill Shooting Ground LLC in Hamilton on April 13, 2019. It is presented by longtime CFM supporter, Northwest Missouri’s Electric Cooperatives. Registration includes lunch for participants. Join us in Hamilton on April 13. Learn more HERE. Online registration will close Thursday April 11th. Registrations will be accepted on-site. For more information on the event, please contact Tyler Schwartze at tschwartze@confedmo.org.